Vapor Daze info and specials. Prices subject to change. See stores for details. PLEASE NOTE NEW STORE HOURS MONDAY – SATURDAY 10AM-9PM SUNDAYS NOON TO 5PM. E-JUICE PRICES HAVE INCREASED FROM PRICES LISTED IN THIS PHOTO. 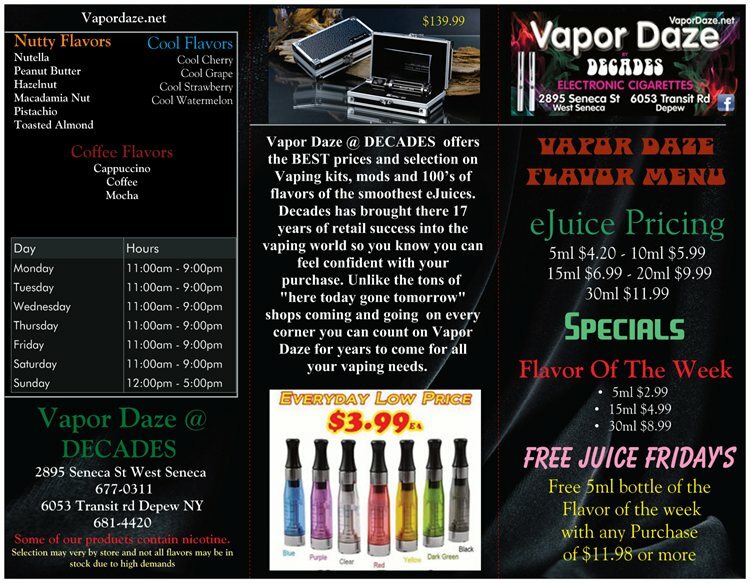 DECADES III CARRIES LIMITED SELECTION OF E-JUICE AND VAP PRODUCTS.